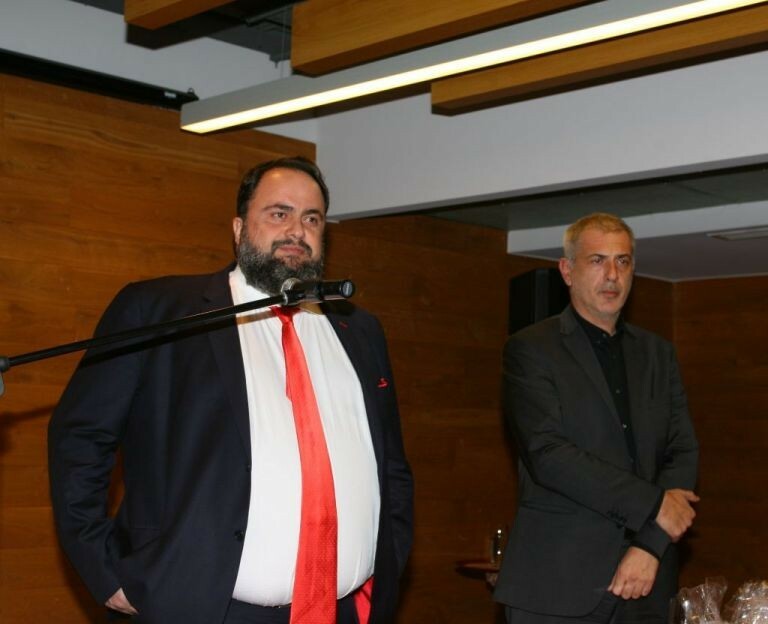 Vangelis Marinakis at a gathering of the Piraeus municipal electoral ticket “Piraeus Victorious” has sent a resounding message to all and sundry that one must not allow Greece to sink and that hope must return to the country. The New Year’s event was held at the Red 1925 Hall at Karaiskakis Stadium. Marinakis referred to the political situation and everything the government was saying about the port of Piraeus. I am even more optimistic about the ticket and our beloved Piraeus, but that does not mean that we do not have to work hard and be even more dynamic and industrious than the last time around. I shall be here and work with all my power for the best. Together we shall achieve a great victory. I wish you all the best for 2019.